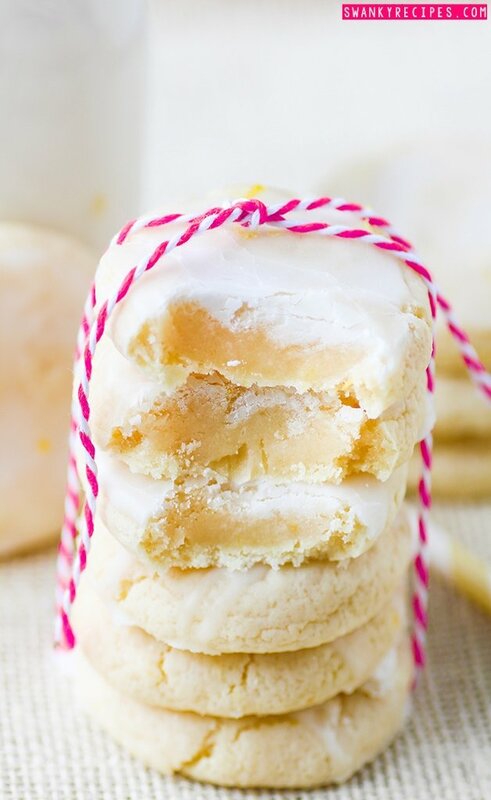 The ultimate soft and chewy cream cheese lemon cookie made with lemon zest and freshly squeezed lemon juice. These cookies have plenty of lemon flavor and a nice savory texture. Lemon cookies are delicious. 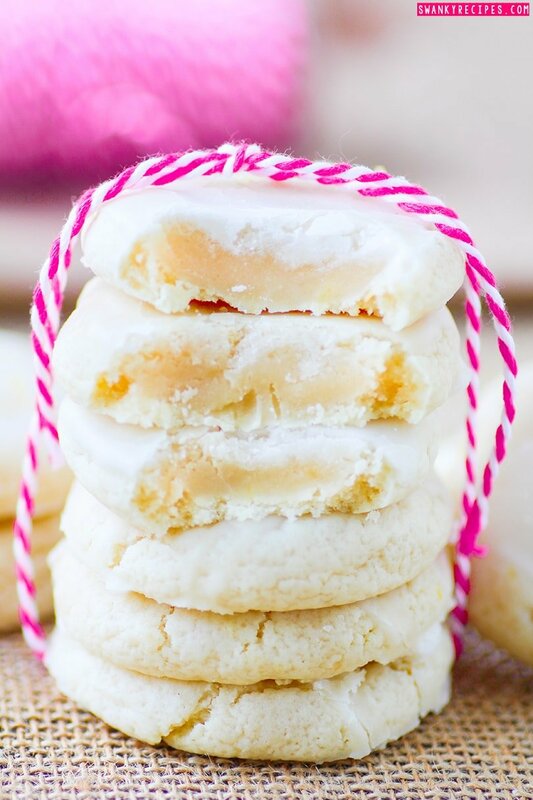 They are like a little slice of heaven baked into a soft cookie that can be savored. 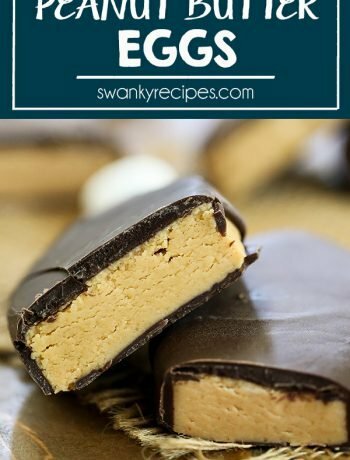 It’s one of my favorite flavors to experiential with and when you try these cookies, you’ll understand why. 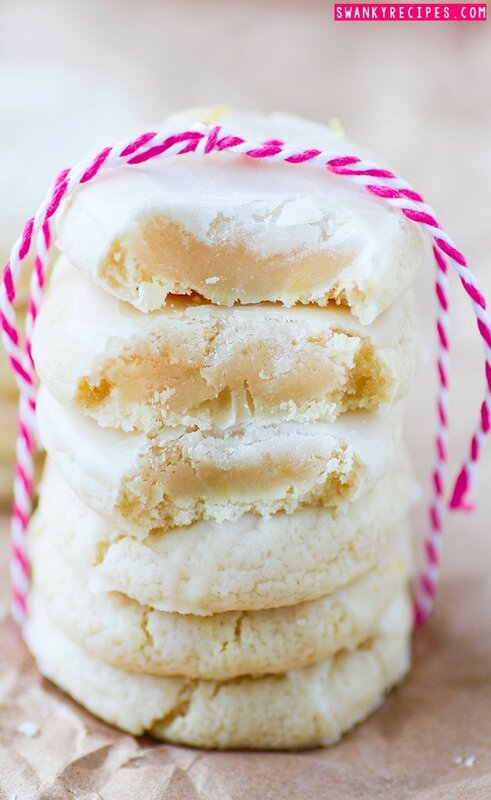 If you’re a lemon fan, this cookie recipe is for you. If you love soft and chewy cookies, this recipe is for you and finally, if you enjoy simple recipes, this is the one for you! Cookies are a must in my household. I can bake cupcakes, pies, dessert bars and cake but nothing compares to the cookies we go through here. For years, my cookies turned out flat, crispy and crunchy but after learning to tweak the recipes, I think I’ve got it. 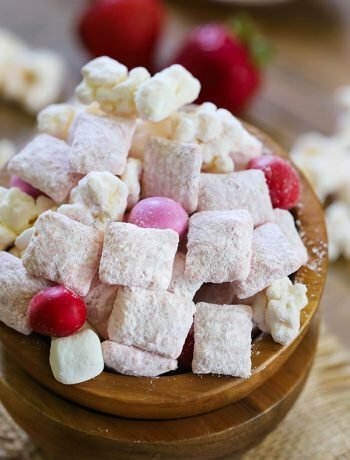 I’m on to something here and I’d love to share this recipe with you. 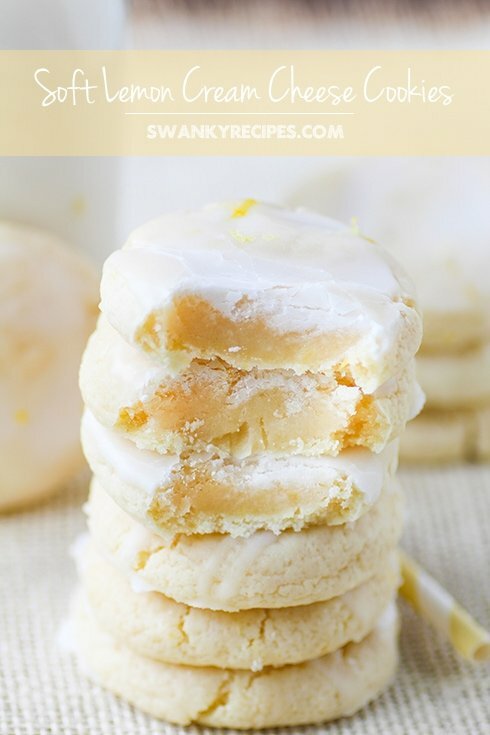 Remember those famous Lemon Sugar Cookies I did last summer? For this recipe, I adapted the Cream Cheese Chocolate Chip Cookie recipe I posted a few weeks ago. You can see that recipe by clicking this cookie recipe. These cookies are super easy to make but do require a chill time in the refrigerate so the cream cheese and butter have a chance to become more solid. This chill time also allows the lemon zest to relax and leads the dough to having more of that lemon flavor we all love. Add cream cheese to cookies is nothing new. In fact, I enjoy cookies that use a mixture of cream cheese and butter. I find that real butter offers cookies a lot of flavor and that is something that remains in this recipe. The result of using cream cheese to make cookie dough results in a more intense soft, chewy and pillowy cookie with the same richness and flavor that many crave. It’s important to thaw the cream cheese and butter to room temperature before continuing to make the dough. In a mixer fit with a paddle attachment, go ahead and cream together butter and cream cheese for about a minute or two. Continue mixing on medium speed and slowly add in the sugar, egg and vanilla extract. Continue to beat on medium-high speed for 5-7 minutes. Cookie dough batter should be light and fluffy. In the meantime, zest 1-2 lemons and reserve 2 tablespoons lemon zest then chop the zest. Squeeze fresh lemons and reserve 3 tablespoons lemon juice. After 5-7 minute of beating batter, add half the flour mixture to the batter. Next, measure and add all of the baking soda, cornstarch, salt, and chopped lemon zest. Pour in lemon juice and continue beating on medium speed. Add the remainder of the flour to the dough and mix. The dough should start to form a ball if mixed right. If no ball is forming, add a little more flour until ball forms. If the dough is too dry, add just a little lemon juice. Chill cookie dough in the refrigerator for at least 3 hours. Once the dough has cooled down, preheat oven to 350 degrees F. Prepare a baking sheet with nonstick cooking spray. Use a cookie scoop to scoop about 1 1/2 tablespoons dough. Roll dough between hands to form a nice ball and place on prepared cookie sheet. Place in the oven the and bake for 9-10 minutes. Remove from oven and allow cookies to cool completely before transferring. Cookies will harden within a few hours to overnight. To make the glaze, combine powdered sugar and water in a small bowl and whisk until icing is smooth. 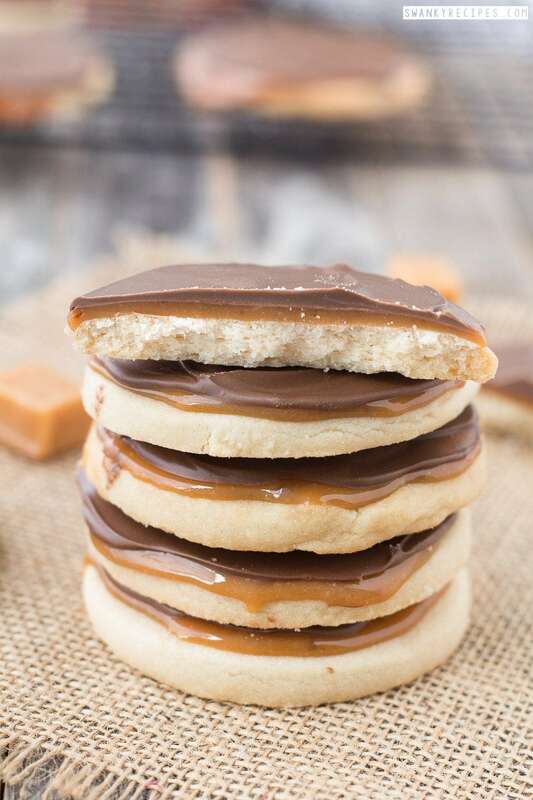 Dunk cookies in upside down or drizzle icing over cookies. Zest extra lemon for the icing if desired. 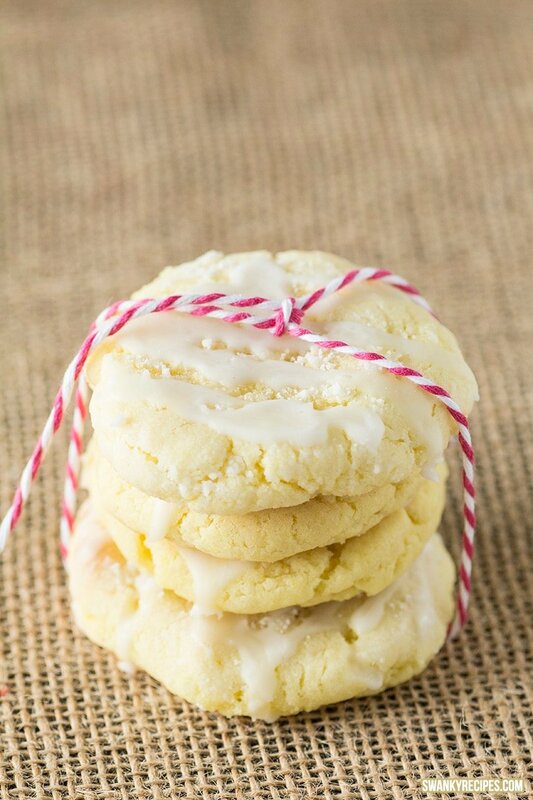 The ultimate soft and chewy cream cheese lemon cookie made with lemon zest and fresh squeezed lemon juice. These cookies have plenty of lemon flavor and a nice savory texture. Combine butter and cream cheese in a bowl fit with a paddle attachment of a mixer. Cream together for about 1 minute. Add granulated sugar and continue to mix. Add egg and vanilla extract and continue to beat on medium to high speed until light and fluffy, about 5-7 minutes. Add half the flour, all the baking soda, salt, cornstarch and lemon zest. Add lemon juice and the remaining flour. Mix to combine until the dough starts to form like a ball. Add a little more flour until slight ball starts to form. Cover and refrigerate dough at least 2-3 hours or up to a few days. Preheat oven to 350 degrees F. Prepare baking sheet and spray with cooking spray or parchment paper. Using a cookie scoop, scoop about 1 1/2 tablespoon cookie dough. Roll cookie dough between hands to get a nice round ball and place on prepared cookie sheet.Bake for 8-10 minutes, removed from oven and while still hot, slightly press down if desired. Allow cookies to cool down completely before transferring. Cookies will slightly harden overnight a little more so don't bake them much longer. To make the glaze, combine powdered sugar and water together in a small bowl. Whisk fast until ingredients are combined with no lumps. 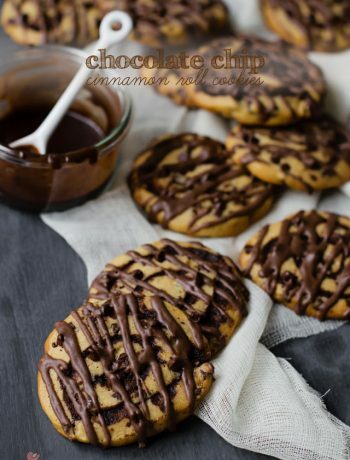 Dip cookies upside down into icing or drizzle icing over the top and allow to harden. I love EVERYTHING lemon and I’m excited to make…well EAT…them! But, I don’t have a stand mixer. I REALLY wish that recipies that do use them would give alternate (hand mixer) directions. I can’t imagine holding a hand mixer for 7 min. As in your recipe but I will if necessary! But I assume the directions might vary from hand to stand. Can u help.. 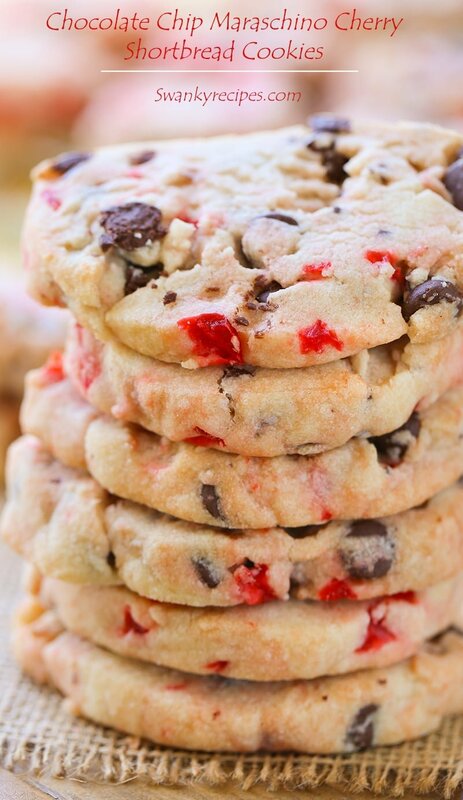 I DESPERATELY want to make these cookies!!! Delicious! Can I make ahead and freeze either the unbaked dough balls or the baked cookies? yes to both, just allow to slightly thaw before baking. Made these today with my daughter, delicious! Will definitely make again. Thanks! Hey, your cookies looks incredible!! Gonna try them.. Could you please tell me what temperature to bake them ? 160 or 180 degree Celsius? Thanks ! I believe around 175 degrees C. Let me know how they turn out! There is some special trick? Hi Ana, can you tell me a little more about it? How did the middle turn out? Was it soft or too hard? While I never had any issues with leaving them on the counter top, I’d suggest the refrigerator. I’m making these cookies but I’m confused on the amount of flour? Thank you! 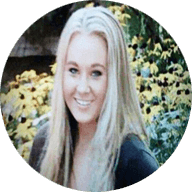 Hi Kate, use 2 1/2 cups to 2 3/4 cup. Start with 2 + 1/2 cups flour and if it’s too sticky, add another 1/4 cup flour. Hope that helps. Tastes great, but it’s more like scones… Not chewy at all. Maybe I added too much flour? Or maybe because I cut sugar in half? Hi Hiromi, it sounds like too much flour and possibly baking it too long. Hope that helps. Sugar amount should not alter it besides taste. Yum! Pinned, my boyfriend and I are going to love these. There is nothing to active the baking soda. I don’t get this, the science of baking is not applied, its not correct, logical or scientifically accurate. Its easy to learn the basics of baking science and apply it it, instead of just writing up anything and posting it. Hi Carme, I will go ahead and publish this comment as suggested because we all make mistakes when it comes to baking. Lemon juice IS acidic and for baking soda to work, it requires an acid, which perhaps you missed. Baking soda reacts to an acid, such as the lemon juice used in this recipe. It creates gas bubbles that enlarge the cookie batter bubbles. The result is more rise to these LEMON cookies. A simple test to display this science is to combine baking soda and lemon juice. It makes a great bubbly scrub in the kitchen to clean pots and pans. Hope that helps! I also followed the directions and didn’t really like them. I felt like they didn’t really bake and they were not lemony enough. For the icing, I ended up adding lemon zest and using lemon juice instead of water.